New York, New York. It’s a city we see so often in films that many people feel like they’ve visited before they’ve even set foot there. Chances are, you know all the top attractions and things to do. You know all the different areas and you already know your way around Fifth Avenue. But New York is a city filled with secrets and mysteries, and there’s lots you might not know about New York City. 1. Why The Big Apple? New York was nicknamed ‘The Big Apple’ in the 1920s and it is thought the name comes from horse racing. There were many racecourses around the city during this time and there were huge prizes being awarded for the winners. The prizes were referred to as ‘apples’ and that’s how the name ‘The Big Apple’ came about. 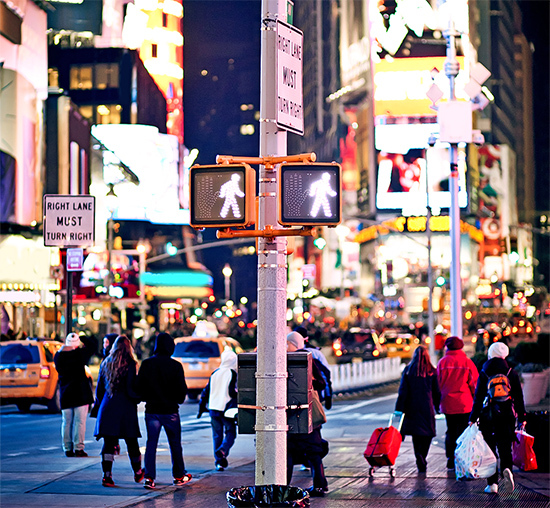 You knew New York City was a busy city but did you know it is home to 8.4 million people? That’s more than 26,000 people living in each square mile and more people than 39 of the 50 states in the U.S. Manhattan’s day time population rises by 1.3 million people due to all of the commuters. A baby is born every 4.4 minutes in New York City and someone dies every 9.1 minutes. You don’t need to be a mathematician to see this city is getting busier and busier every day. The streets of New York City were once filled with fat little pigs that were used as free street cleaners. The greedy pigs would eat all of the waste on the streets and they could be found gobbling their way through the rubbish until the 1850s. There’s a ‘whispering gallery’ in Grand Central Station where you can whisper into one corner of the station and someone at the opposite end of the hall will hear. You will find the gallery near the Oyster Bar Restaurant, just look out for the people facing the corner like naughty children on a time out. Beneath the Brooklyn Bridge there was once an enormous wine and champagne cellar. The bridge has huge underground vaults, which were once rented out as a little moneymaker for the city and to offset the enormous construction costs of the bridge. The vaults were used for various storage usages but the most interesting is the wine cellar. The vaults stayed at a consistent cool temperature that was perfect for storing wine and it was always close by when the city’s supply ran low. Those gorgeous green spaces we now relax in were once some of the city’s largest graveyards. Madison Square Park, Washington Square Park, Union Square Park, and Bryant Park were all graveyards, and Washington Square alone was the cemetery for over 20,000 bodies. 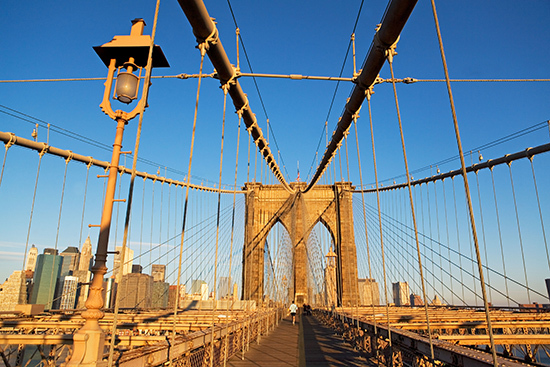 While you’re in New York, make sure you spend some time in Brooklyn. Brooklyn is home to 2.5 million people, which is much bigger than Manhattan, and if it were its own city, it would be the fourth biggest city in the US. You won’t find as many of the big tourist hot spots in Brooklyn but you will find great restaurants and bars, galleries, boutique hotels and a genuine New York experience. The Cathedral Church of St. John the Divine is one of the largest cathedrals in the world. As if that’s not enough of a reason to visit, you can also take a Vertical Tour and climb all the way to the roof. 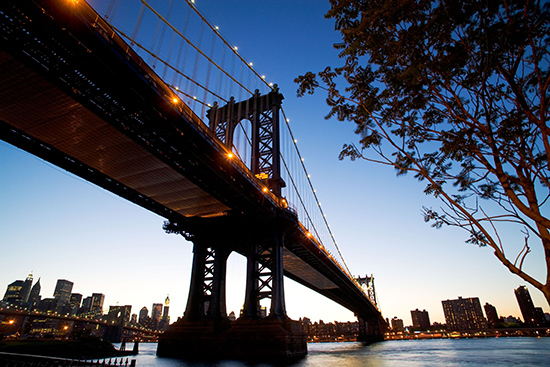 You’ll make your way to over 124 feet and be greeted by incredible views over Manhattan. It’s a great opportunity to see the city from a unique perspective and learn more about this beautiful church. 9. Who are Patience and Fortitude? If you visit New York City you will undoubtedly take a trip to the Public Library and, like most people, you’ll have a photo taken with the two lions guarding the entrance. But did you know these famous lions have names? The marble lions are named Patience and Fortitude, and were described as ‘New York’s most lovable public sculptures’ by architecture critic Paul Goldberger. Make sure you snap a selfie with the lions and try to figure out which is which. On a clear day, you can see for up to 80 miles from the Empire State Building, including much of New York, Connecticut, Massachusetts, New Jersey and even Pennsylvania. If you were thinking a trip up the Empire State Building is just a tourist trap, think again because these views are incredible. If you’re not blessed with good weather while you’re in New York, head up after dark for magical night views as all the lights are twinkling.